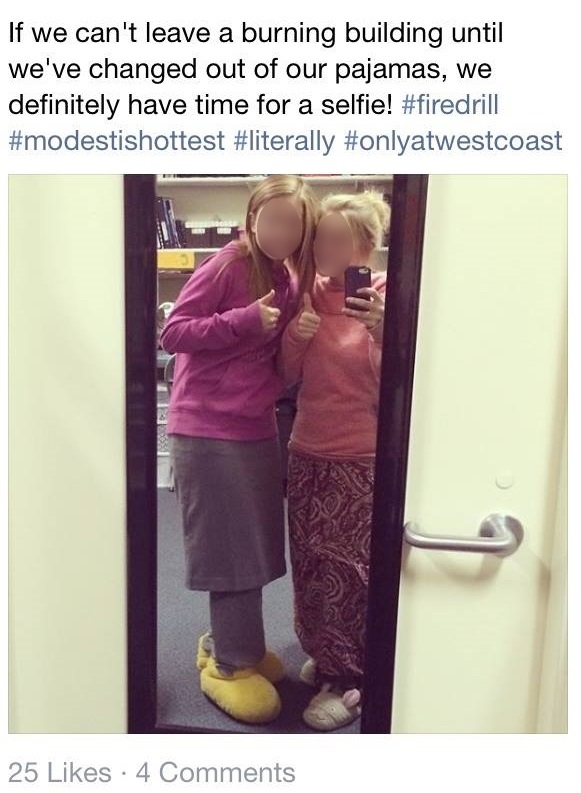 These are college students at West Coast Baptist College. The dean of students is leading them in singing a popular fundy children’s song. With motions. Which is a pretty good example of how they view student maturity at WCBC. This post from a West Coast Baptist student gives a good look at the school’s priorities and the sort of gallows humor defense mechanism that is very familiar to those of us who attended a Fundy U. And keep in mind that WCBC isn’t the only Fundy U with this kind of policy. At a West Coast Baptist College chapel, John Goetsch makes the claim that there are only two “Bible-preaching” churches in Los Angeles. One assumes he’s likely talking about the churches that Lancaster Baptist has tried to plant. I really have nothing to add to that.